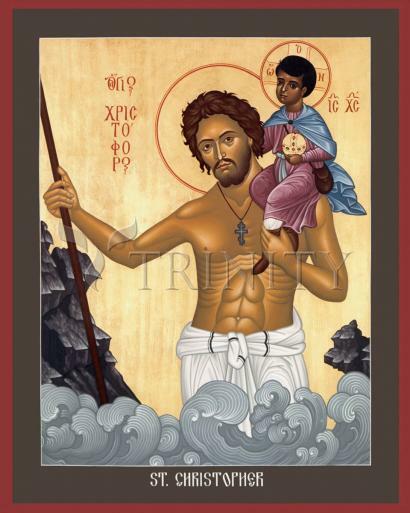 All that is known of St. Christopher is that he died a martyr in Asia Minor in the third century. A church was built in his honor at Chaloedon as early as 450. His popularity grew very great in western Europe, as a patron for travelers. Pope Paul VI removed his feast from the calendar of the Roman Church to make room for more recent saints.